The NOAA has updated its tide gauge data for 2018 and says theaverage global sea level rise rate is 1.7-1.8 mm/yr. Thats a measly 5.6 inches by 2100. 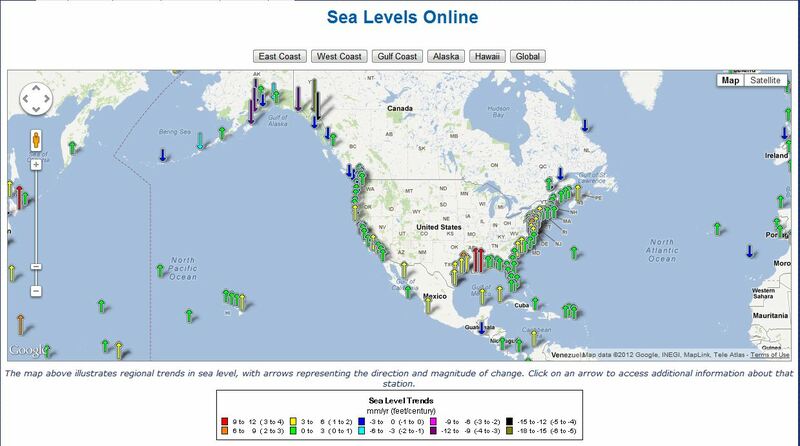 The map of relative sea level trends provides an overview of variations in the rates of local sea level change at long-term tide stations (based on a minimum of 30 years of data in order to account for long-term sea level variations and reduce errors in computing sea level trends based on monthly mean sea level). The variations in sea level trends seen here primarily reflect differences in rates and sources of vertical land motion. 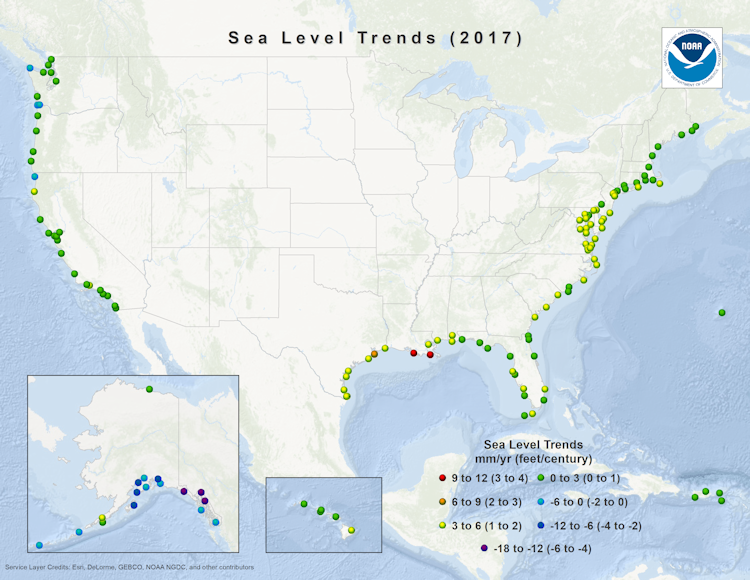 Areas experiencing little-to-no change in relative sea level are illustrated in green, including stations consistent with average global sea level rise rate of 1.7-1.8 mm/yr. These are stations not experiencing significant vertical land motion. Stations illustrated with positive sea level trends (yellow-to-red) are experiencing both global sea level rise, and lowering or sinking of the local land, causing an apparently exaggerated rate of relative sea level rise. 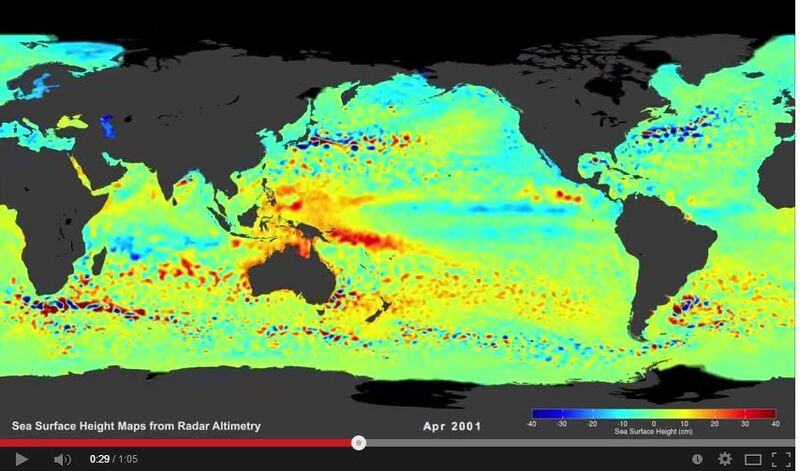 Stations illustrated with negative trends (blue-to-purple) are experiencing global sea level rise and a greater vertical rise in the local land, causing an apparent decrease in relative sea level. These rates of relative sea level rise reflect actual observations and must be accounted for in any coastal planning or engineering applications. The Wismar, Germany, record is one of the longest and most complete records of sea level rise in the world. It not only shows a long-term trend of 1.4 mm/year, but it shows no change in that trend (no acceleration over the past 50 years) since carbon dioxide levels have gone from 325 to 400 parts per million. 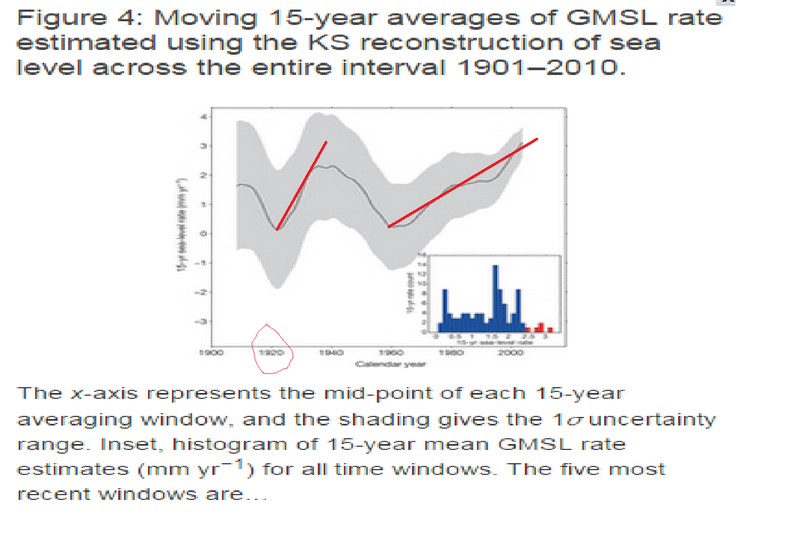 There is kerfuffle about sea level rise going on concerning this paper. But clearly sea level rose faster in the 20s and 30s. Have you ever wondered about the big bulge in sea level trend to the north of Australia and east of Indonesia. Sea Level is barely rising elsewhere. Well … it may be that the big bulge is just newly discovered giant vortices bumping into Indonesia. 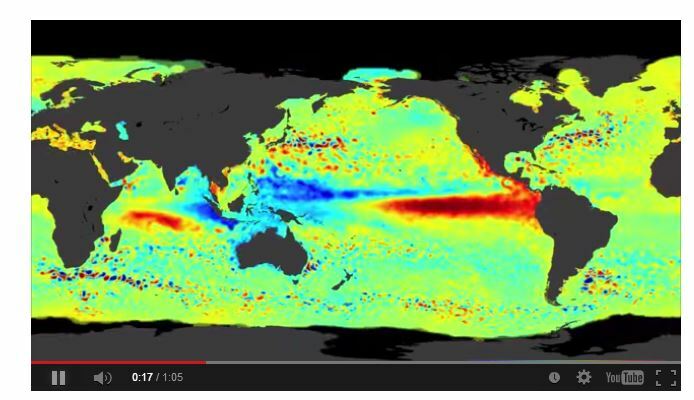 Sea Levels are barely rising 0 – 3 mm per year according to the NOAA website Tides and Currents. All the green arrows are only 0 – 3 mm per year. There is some yellow arrows (3 – 6 mm). And a very few red. Sea level is dropping in the Gulf of Alaska.